Betsy became part of our team in 2016. Although she is our newest member, she has been a Chiropractic patient and advocate for many years. 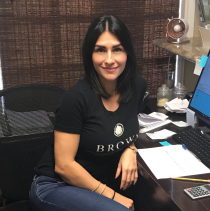 She has over 7 years experience in the Chiropractic industry and is a strong supporter of the chiropractic lifestyle and is very knowledgeable in the use of our Standard Process supplements. She has had many experiences in which chiropractic has not only aided her in healing, but also close family and her children! She knows that getting adjusted is not just to help with pain but for building your immune system to help with stress/anxiety and better overall neurological function. Betsy is a great asset to our team and we're so grateful to welcome her on board! Angel's love for living a healthy well balanced life brought her to yoga & pilates in 2005. As an avid student doing pilates for her own health she searched out more and more private training. In 2009 she attended BASI (Body Arts and Science International) and became fully equipped to be an instructor herself! Her classes are fun and insightful. You will always learn something new about your body and how to use pilates to balance out any discrepancies or how to keep it strong and aligned while being challenged. Angel is also a certified Yoga instructor through AFAA and YogaFit. Joel has a knack for finding specific points that cause injuries and uses his 16 years as a massage therapist to apply different techniques to help alleviate pain. 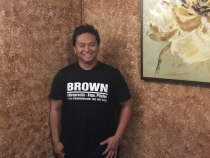 His techniques incorporate trigger point therapy, lomi lomi, PNF, sports and swedish massage. He is also trained in Lipo-massage-works great in conjunction with our endermologie treatments! 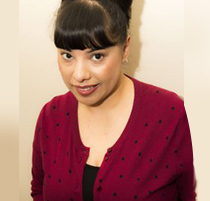 Jessica began her journey into health and wellness at Southern California University of Health Sciences, where she graduated from the massage therapy program in 2014. She loves seeing the results of her work and the clients responding in such a positive way. Jessica uses Swedish massage technique with deep tissue work to melt the tension out of the muscles! She has experience working under chiropractors, in spas and at sports events. She encourages overall well being through massage therapy and in teaching Yoga! She is continuing her studies to become a Registered Dietitian. Chanel has been a massage therapist for 17 years and enjoys helping her clients on the physical, emotional and mental level. She specializes in Lymph Drainage, Cranial Sacral and Trigger Point Therapy. She finds joy in teaching massage therapy to students seeking the same field and to those that just want to add massage into their family life. Chanel uses all the different modalities she has studied to help her clients and makes each session unique and beneficial to what her client needs. She received her first 1000 hours at Mesa Institute of Massage Therapy. She has studied additional modalities at seminars, private classes and has even learned from her mother. Her passion is in helping those in need and seeing clients pain free! Not Pictured: Rosanna Gregory, Lac; Victoria Duran, Yoga; Liana Lazos, Pilates, Booty Barre; Delores Giacometto, Pilates; Amy Finn, Yoga.